Despite the chaotic scene we see every day in the news about what’s happening in the world, there are still good spots in our planet that still can be compared to as “heaven”—these are the top cities in the world based on the latest survey conducted by Conde Nast Traveler. It is amazing to know how these cities survive our mediocre society. Let’s take a look and see what these cities offer and what activities we can do when we choose to pay a visit in these places. 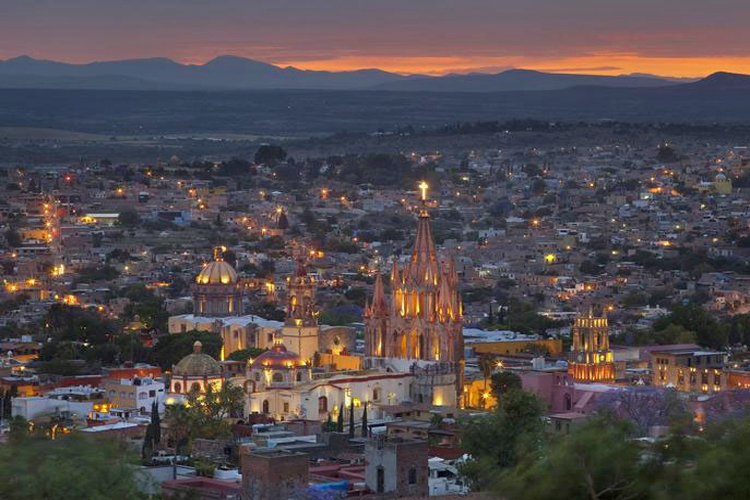 San Miguel de Allende, Mexico – Voted as the number 1 in top cities around the world, this city is not the typical city with bursting lights you see in most industrialized countries. 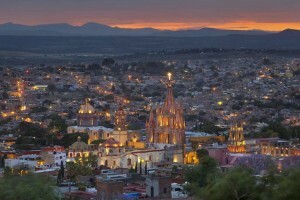 San Miguel de Allende has the kind of charm you would not find on other cities—there are no lights when the night comes. The city reminds people how it was when technology was not yet developed, and there’s that feeling of nostalgia in that small town, as you stroll around the history-rich city and the traditional feel it gives you is just priceless! Florence, Italy – If you are an art historian, you’ll have your dream come true by just visiting the city. One sight like The Galleria dell’ Academia is flooded with Michelangelo’s works. They also offer great shopping experience in Piazza Santo Spirito. Budapest, Hungary – “Captivating” is the best word that describes the city. It’s fairly easy to travel in this city since many tour services are spreading around the internet. They offer conveniently the accommodation, food, places to see and even health and beauty locations—with just a couple of clicks, you’re already included in the listing. There’s a high quality of life in Budapest and you can observe how affordable food and stuff in the area. Salzburg Austria – According to the CN Traveler magazine, this city will take you back in the old times. One thing that keep travelers swarming around the city is that it’s simply Mozart’s hometown—the well-known musician of all time. Charleston, South Carolina – You’ll instantly fall in love with Charleston for its lovable attributes—friendly people, sunny environment, great sands, and history-rich spots. Some of the most popular places to visit in the city are Charleston museum, Fort Sumter, The Battery and White Point Gardens and a lot more! San Sebastian, Spain – If you love food, and eating is your favorite hobby, nothing feels like home than San Sebastian. The Basque Cuisine is so popular in the area that you can eat incredibly delicious food from one restaurant to another. But for vegans, you also need to know that San Sebastian does not offer much veggie. Vienna, Austria – Vienna is rich in arts and culture and this is what makes the city so wonderful. You will enjoy the musical events especially this coming holiday season. Vienna is the center of theatre, opera and music so if you’re a melancholic and the artsy type, you’ll love it here. Rome – Everybody in the world already knows the name “Rome”. We see it in history books and literature. Rome is filled with great sights, and remarkable historical buildings and structures. Because of these masterpieces, travelers find themselves going back to the place over and over again. Siena, Italy – Siena is one of Italy’s best cities that ranked on top 25. Have you ever wondered why this city is included in the ranks? Well, it’s all about how well they preserved the old buildings and the houses, in that, it still looked like how it was a few decades ago. They also hold many events that attracts tourist every now and then and a single visit to the city will bring you with history-rich experiences. Events the city includes Palio Horse race, classical concerts and Siena Jazz Festival. Quebec, Canada – Quebec is considered as a treasure in World Heritage. The city offers beautiful landscapes and its richness in historical as well as cultural spots together with modern shopping places gives travelers diverse experiences. Overflowing with great museums and activities involving cultural experiences, you will surely love to go back to the city where it is widely known as the “cradle of French North America”.